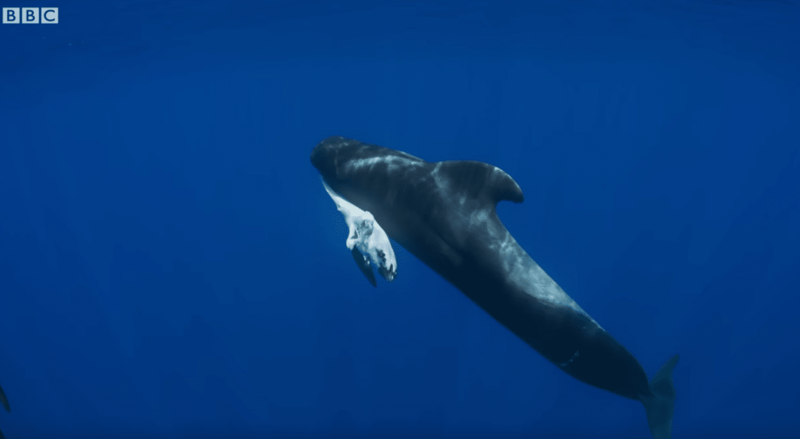 Footage from the Blue Planet II documentary series showing a female pilot whale unwilling to leave the side of her dead calf has caused viewers in the U.K. to promise to never use plastic again. “Today in the Atlantic waters they have to share the ocean with plastic. A mother is holding her newborn young — it’s dead. She is reluctant to let it go and has been carrying it around for many days. In top predators like these, industrial chemicals can build up to lethal levels. And plastic could be part of the problem. . . . It’s possible her calf may have been poisoned by her own contaminated milk. Check out an excerpt from the show below (and yeah, it’s pretty distressing).